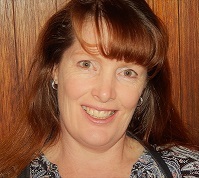 Sonja is a Registered Nurse (RN1) with a Graduate Certifcate in Primary Care Nursing and Immunisation Accreditation. She spent several years working within Peninsula Health across surgical and acute nursing including: respiratory, oncology, vascular and orthopaedics. Prior to moving to The Hills, Sonja transferred to nursing in Primary Health and has a passion for working and caring for the community. She has a strong interest in all aspects of General Practice especially in chronic disease care, disease prevention/health promotion and wound care. She lives locally with her husband, daughter and dog, Persia. She loves gardening, bush walking and volunteering with a medical student led Community Health project in Flemington.